If you fancy playing something with the appearance and charm of a retro shoot ’em up but on today’s gaming systems then look no further than Hyper Sentinel for the Xbox One, PlayStation 4, Nintendo Switch and Steam. Hyper Sentinel has been developed by Huey Games, founded by industry veterans Rob Hewson, Andrew Hewson and John Ogden. Inspired by the shoot ‘em ups from back in the day such as Uridium, Cybernoid, Delta and Defender, Hyper Sentinel is a 60 FPS fast paced shoot ’em up that sees players take on 12 levels packed to the brim with enemies, power ups and boss battles and 3 challenging game modes. 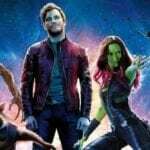 Players will have access to a variety of weapon upgrades to help them carve through the enemy and build up huge scores with the combo-chain score system. Stunning 4K resolution, 60 frames-per-second. 12 explosive levels featuring turrets, fighters, forcefields, space mines and more. Epic, multi-stage, progressively destructible bosses encounters. Awesome power ups including the Arc Streamer, Astro Mace and Plasma Rifle. 60 medals to win in three difficulty settings. 3 game modes – ‘Arcade’, ‘Survival’ and ‘Boss Run’. Mixer interactive support delivers the world’s first interactive livestream arcade game​ (Xbox & Steam). 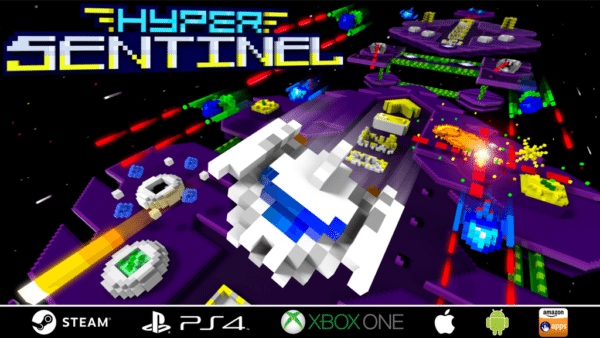 Hyper Sentinel is available to download now from the Microsoft Store, PSN Store, Nintendo eShop and Steam.